I grew up watching my Mom & Dad make these for Christmas. I remember being allowed to roll them in the sugar after they had cooled to a warm temperature. 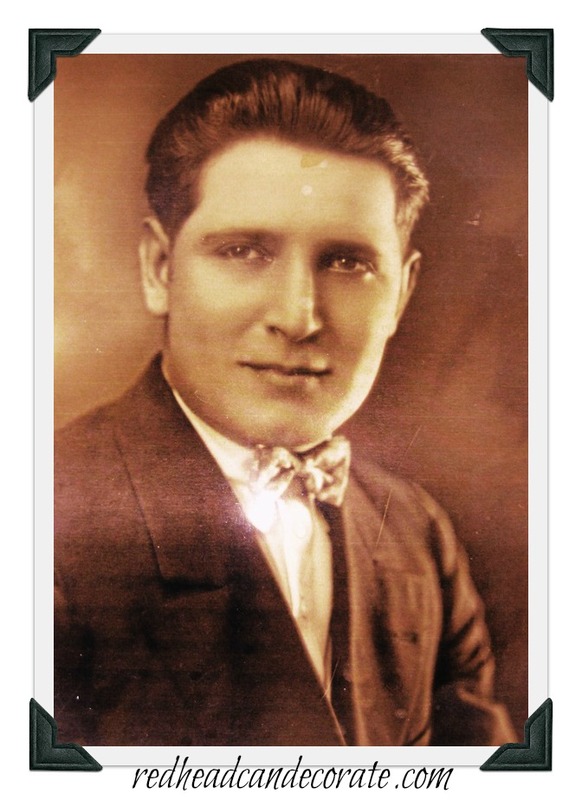 The recipe comes from my grandfather, Cyril, whom I never got to meet because he passed away before I was born. Cy wasn’t only handsome, he was a great cook and he loved to decorate his home. Combine butter and sugar until light and fluffy. Add vanilla, flour, and nuts. Blend thoroughly until dough forms. Roll into small balls, about the size of a walnut. Bake approx. 20 minutes or until lightly brown. Roll the balls in confectionary sugar while they are still warm. Is there supposed to be granulated sugar mixed with the butter? I fixed the mix up, Donna. The recipe does call for 1/2 cup of confectioners sugar in the actual dough. Hope you try them!! I definitely will make them. Thanks! These are absolutely wonderful! My grandchildren call them “Moose Knuckles’! I have no idea how they ever came up with a name like that, but they are wanting ” Barber” (that’s what they call me ¿?¿?) to bmake them some “moose knuckles” for Santa Claus. That is hysterical! Moose Knuckles, lol! These are my favorite cookies! I’ve always called them wedding cookies? But either way — To. Die. For. I love these cookies. I have made them for years and have known them as”wedding cookies” and “pecan balls”. They are one of my favorite cookies and I think they also look so pretty. My mother also made these wonderful cookies only at Christmas time. 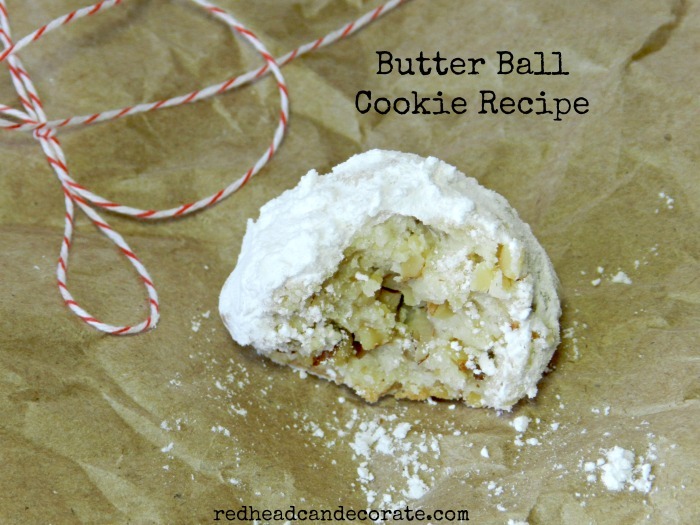 First time I have seen them referred to as “Butter Balls” which is what she called them. I have been making them now for at least 60 years and still they are one of my favorites. My recipe calls for 1/2 tsp. almond extract along with the vanilla in your recipe. I was wondering who dad that! Hi Julie, I’m from Buffalo and had to chuckle about the Bills ornament! 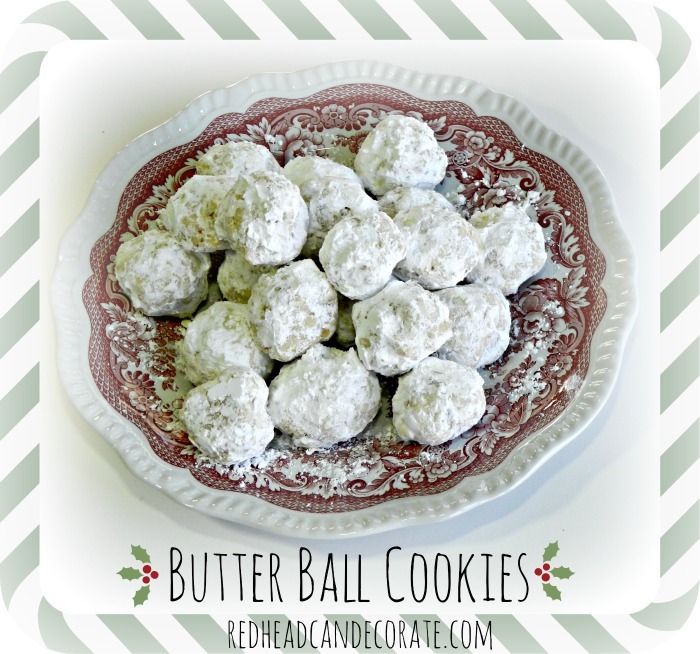 I make the Butter ball cookies every Christmas only my Mom called them Russian tea cakes . no matter what they are called they are fantastic! Merry Christmas. My mom made at Christmas time also. 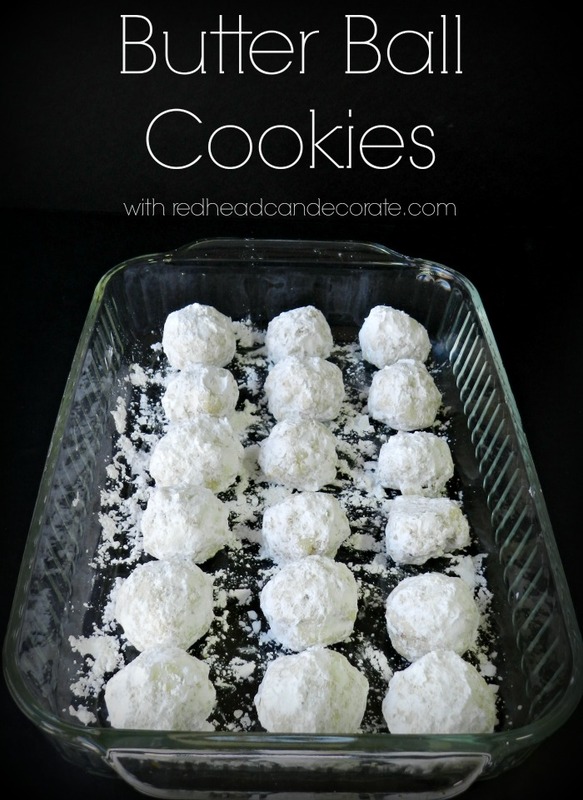 She called them snowball cookies. Our whole families loves all the way down to the grand babies. Merry Christmas from our home to yours. Your late grandfather looks so yummy, LOL! and the cookies don’t look bad either. Can’t wait to make some. 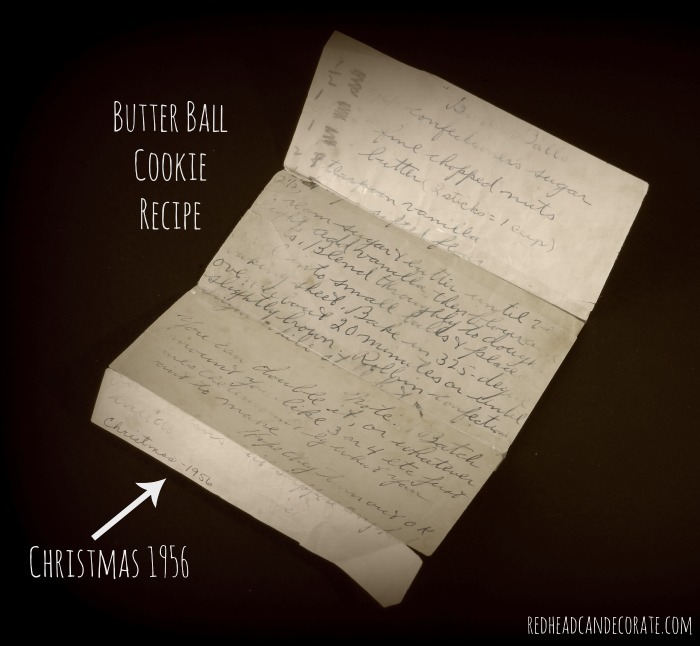 I have also made these cookies for years and they are one of my favorite cookies. They look so pretty. Julie, i love the cherished memories and a recipe handed down. I must try these for a cookie swap I’m going to next weekend.